Sts. 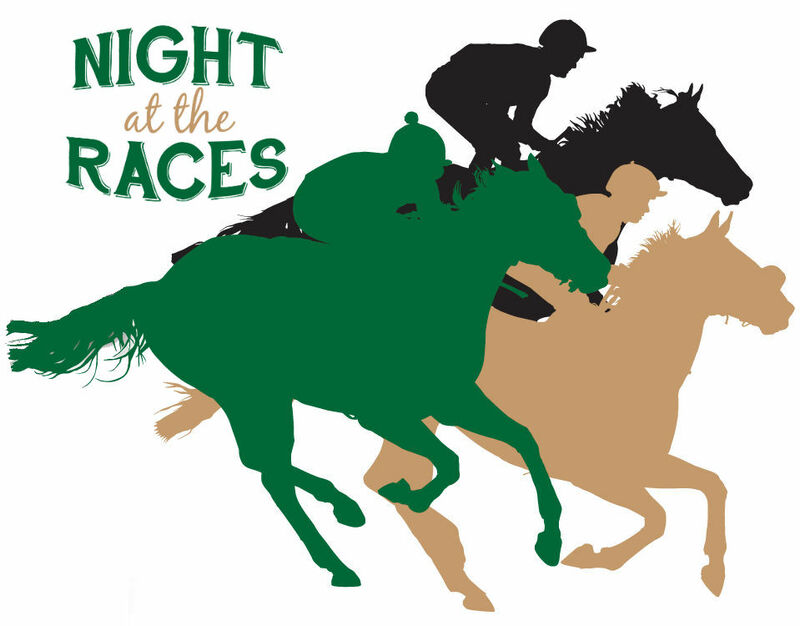 Peter and Paul School, located in Jackson County, is excited to announce the 6th Annual Night at the Races will be held on Saturday, May 11, 2019. Pre-sale tickets are $20 each and include a fabulous meal, non-alcoholic beverage and homemade dessert. A cash bar will be open throughout the event, as well. Enjoy instant tickets, split-the-pot, the silent auction, drinks and great people. Dinner will be served at 6:00 p.m. Races will begin at 7:00 p.m. with betting windows opening at that time. Child care will be available throughout the event in the preschool building. Child care is $3 per child/hour and includes a movie and snacks. Join us for this unique, exciting and entertaining evening of adult (18 & older) fun --- and win some cash and prizes, too. Tickets may be purchased online or in the school office. Tickets purchased online will be available for pickup at the door on the day of the event. Tickets are $20 each and include admission for one person (18 and older) to the Night at the Races on May 11, a delicious meal catered by Farm on the Ridge, and non-alcoholic beverage. Tables may be purchased for $200. Tables include a reserved table for the event, admission tickets, dinner and non-alcoholic beverages for eight people. Questions? Please contact the school office at (740) 384-6354 or kfulton@cdeducation.org. A big part of the fun at the Night of the Races is betting on your own horse! Horses are sold for $20 each and named by you! If you purchase more than one horse, they will be placed in different races. Please feel free to be creative with your names. They are announced throughout their race, cheered on by the crowd! If purchased online, you will be contacted via email to name your horses. Advertising packages for the N@R program may be purchased online or in the school office. If purchased online, you will be contacted via email for details on your ad. What is a Night at the Races? A Night at the Races is a fundraising event that brings the excitement of horse racing to YOU through video. Actual race footage is used for each “Race”. Patrons enjoy drinks and dinner, and are able to place bets on horses throughout the night. Saturday, May 11 in the Sts. Peter and Paul Parish Hall, 229 S. New York Avenue, Wellston. Doors open at 5:30. Dinner begins at 6 p.m. Races begin at 7 p.m.
How do you have horse racing INSIDE the Parish Hall? - We do not bring in horses to race in the hall – that would be a bit too messy. What we do is place a large screen in the hall, viewable by all tables. Actual race footage is then played on the screen. The announcer commentates the races while everyone cheers on the horses they want to win. How do I bet on a horse? Betting windows will be set up on the far side of the hall for patrons to place bets. There is a $2 betting minimum per race. Once you decide the horse or horses you’d like to bet on, you go to the window for the horse’s number and place your bet. You will receive a ticket indicating the horse you bet on. Do I have to bet on a horse if I come? No. If you would like to join us for the delicious meal, drinks and wonderful company, please feel free not to place bets. The audience alone will make for a wonderful evening. There will also be instant tickets, split-the-pot, an auction, and door prizes for maximum enjoyment. How do I win? What do I win? After each race, the winning horse is announced. Those holding numbers of the winning horse will go to the “cashier” to pick up their winnings. Winnings are determined by the number of wagers placed per race. You may purchase a horse for $20 through the school office or at the event. Being the horse’s owner, you will also need to give your horse a name. Be creative!! Horses purchased at the event will not be printed in the program; however, they will be announced live. Tickets may be purchased in the school office or above through the button. They are $20 each, which includes a delicious meal from Farm on the Ridge, dessert and drinks (non-alcoholic). A cash bar with wine and beer will be open throughout the event. Yes! Tickets may be purchased at the door, though seating is limited. This is an 18 and over event, so enjoy an evening out with your spouse or friends! There is BABYSITTING available in the preschool building (next door) for the evening. The cost is $3 per child per hour.